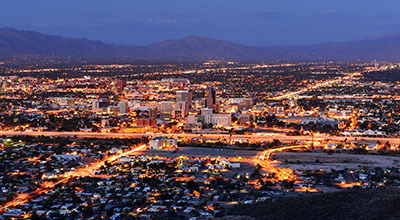 Tucson, Arizona—Shirley Taylor, age 81, died as a result of injuries she received when her car was one of seven vehicles involved in a horrific accident at Flowing Wells and Wetmore on Wednesday evening. 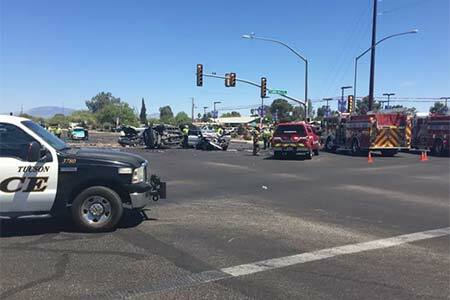 Pima County Sheriff’s Office accident investigators report that seven people were transported to hospitals for treatment of their injuries. One of the vehicles involved was a Parks and Recreation truck transporting paint cans in the truck’s bed. The paint ignited on impact. Coincidentally, a NWFD battalion chief was a few cars back from the accident. He took a fire extinguisher from his car and rushed to the scene. The Northwest Fire District sent three fire engines and three ambulances. Other than the facts that a rollover and a fire occurred, little is known about the accident’s cause and the investigation continues. We extend our condolences to Ms. Taylor’s family and friends at this time of great loss for them.